Campovida is a family owned and operated certified organic farm and working vineyard. This unique place offers deep connections with nature, wine tasting, a professional culinary kitchen, a 10-room retreat center and multiple spaces for conversations both big and small. It's a place where you can relax, enjoy and create your custom gatherings. Come together. Gather. Allow your heart to listen. Connect. Deutsch Family Wine & Spirits builds brands that offer approachable wine experiences, which contribute to a premium lifestyle for the mainstream and wine enthusiast consumer. Founded in 1981 by Chairman Bill Deutsch, Deutsch Family Wine & Spirits was created to market quality wines from prestigious families from major wine regions throughout the world. Deutsch Family Wine & Spirits is widely known for its ability to create and identify existing consumer needs within the wine category. 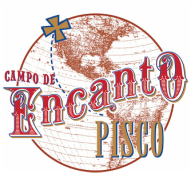 ​Campo de Encanto Pisco translated as, "field of enchantment" - is a Peruvian pisco created by three San Franciscans: a bartender, a sommelier and a distiller who, combined, have over 50 years of experience working with wine and spirits. Launched in July 2010 by Duggan McDonnell, Walter Moore and Carlos Romero to tremendous accolades around the country and world, Encanto is currently available in the United States, Peru, Australia, Singapore and soon, Europe. Libations Unlimited is a specialty beverage catering service located in Sonoma and Napa County. From his custom-crafted,vintage-style teardrop trailer, bartender Christopher Long (Spoonbar, Campo Fina) roams Northern California serving up seasonal cocktails at outdoor dinners, weddings and other gatherings. Libations Unlimited's offerings include bespoke drinks, kegged custom cocktails, a beer tap and espresso machine along with garnishes of locally-grown edible flowers, fruit and herbs. Always seasonally-inspired and always made from scratch. Created by a Sonoma Chef and grape growers, Stolen Fruit is a line of varietal wine grape-based mixers crafted to create food-friendly libations with ease. For millennia, winemakers have coaxed delicious flavors and complex aromas from the vineyard and great chefs have used the fresh pressed juice of green grapes, called verjus, to make their dishes sing. The creators of Stolen Fruit are bringing this tradition to the glass with their new line of grape-based mixers: adding the nuance and complexity of wine grapes to a range of cocktails and mocktails. Spirit Works Distillery is a grain-to-glass micro-distillery that handcrafts vodka, gin, sloe gin, barrel gin and whiskey in Sebastapol, California - the heart of Sonoma Wine Country. Founded by Ashby and Timo Marshall after a decade working with environmental non-profits, Spirit Works is committed to the "grain to glass" philosophy. Each batch starts with local whole grains. The meticulous yet simple process for the creation of each spirit does not vary. The grain is delivered to the distillery where is it milled, mashed, fermented, distilled and bottled - entirely on-site. This hands on approach allows for control of the grains and flavor and the creation of each distinct artisanal spirit. Spirit Works is one of few distilleries - if not the only in the world - with an all-female distilling team. ​Founded by brothers Dustin Valette and Aaron Garzini, Valette is a restaurant in Healdsburg, California that serves a uniquely Sonoma County experience. Located at the same address where their great-grandfather ran a bakery, Valette provides a canvas for local Sonoma County farmers, winemakers and artisans to showcase their craft. In 2015, Valette Restaurant opened its doors to the public, showcasing the brothers’ combined forty-seven years of restaurant experience and a deep dedication to Sonoma Country and its food and wine community. Valette continues to top the list of epicurean experiences in Healdsburg: Valette has been featured in Forbes, Food + Wine, Wine Spectator, Harper’s Bazaar, the San Francisco Chronicle, among others, and was recently proclaimed a “Top 100 Wine Restaurant in the United States” by Wine Enthusiast. ​An authentic farm-to-table dining experience with an in-house artisan bakery, Trading Post is a celebration of regional ingredients and flavors presented in a modern, warm, convivial environment. Chef/Owner Erik Johnson features locally sourced produce, meats and fish. Head Baker, Aaron Arabian, crafts delicious breads such as country loaf, baguette and daily focaccia, and unique offerings daily such as rye breads, seeded breads, cookies and scones. ​Located in the heart of Sonoma County, Lambert Bridge Winery sits nestled among redwood forested hills and rolling vineyards, just west of Dry Creek and its namesake trestle bridge. In an appellation known for producing some of California’s most sought after zinfandels, Lambert Bridge farms unique lots of Cabernet Sauvignon, Merlot and other Bordeaux varietals. Each harvested lot is hand-sorted down to the berry, then delivered to small batch fermenters before being gently pressed. Each lot is then aged separately until just prior to bottling. The result is a portfolio of handcrafted, world-class Bordeaux-varietal wines. ​Glendeven Inn is an eight-acre ocean-view farmstead lodging destination. Located just two miles from the town of Mendocino, the intimate 10-room inn offers bed and breakfast accommodations. The adult-only hotel is the perfect retreat for those looking to unplug and relax in Northern California wine country. Glendeven Inn’s sister property, The Inn at Cobbler’s Walk, is located at the trail-head to a scenic ocean-bluff walk. The walk takes guests through a coastal forest where the dramatic Pacific coastline is revealed after a short stroll.